Ten brand new tracks by a band that needs no introductions anymore as they've definitely entered the Olympus of D-BEAT being one of the best worldwide todays' acts. 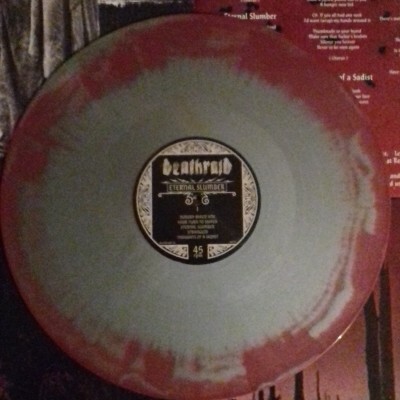 Recorded in Spring 2015, Eternal Slumber has been previously released on tape only in 200 copies and it's been distributed by the band itself during their super successful Eurpean Tour in 2015. Eternal Slumber has been performed live in its entirety during the aformentioned tour, so, those who got the chance to watch them live, know exactly what we're talking about. 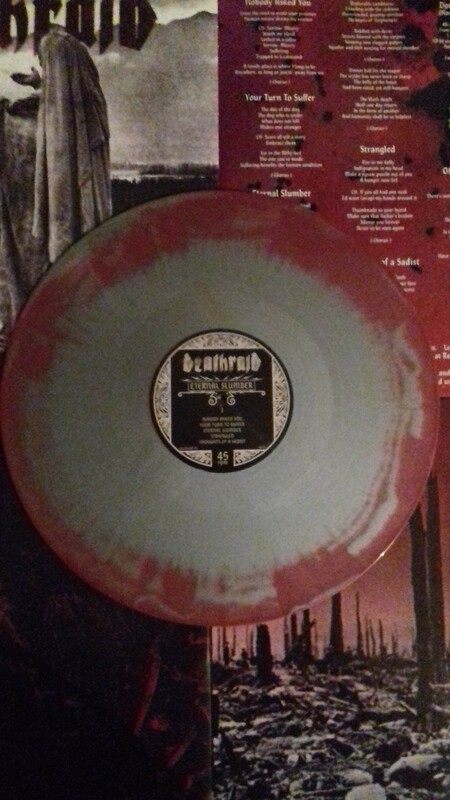 For those who haven't had it, well, at least don't miss the chance to get the record! If you're into pummeling scandi style D-BEAT, this is the record for you! 500 copies pressed. 100 limited copies in Silver and Purple hazed colored vinyl will be available via mailorder only. Act fast or die trying!